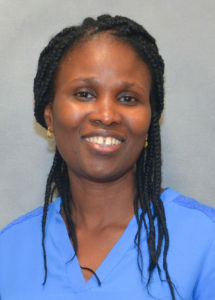 Nike was selected for direct training into Critical Care Nursing immediately after completing her initial nursing diploma in Edmonton, Canada. She has subsequently worked for over a decade as a critical care nurse in different hospital settings in Canada and the United States. She received her Critical Care Certification in Canada (CNCC-C, 2010) and the United States (CCRN, 2015). Odemuyiwa, O.A., & Hendricks, C. (April 2015). A Church-based glaucoma education in a population of African-Americans in rural Alabama. Auburn University Research Day. Odemuyiwa, O.A. (January 2013). Predictors of hospital re-admission for myocardial infarction following discharge of patients present at the emergency department for acute chest pain. Research project presentation for the Graduate Diploma in Applied Statistics degree. University of Guelph, Ontario, Canada.